ChargePoint’s dedicated AfterCare™ team offer global support to our customers for the maintenance of all our products. Our customers can safeguard the performance of their products, maximise uptime and provide priority access to our team of expert on-site engineers and technical help desk through our AfterCare™ Maintenance Packages. Regular service engineer site visits with pre-scheduled year-in, year-out dates. Enhances the relationship between ChargePoint and our customers through pro-active AfterCare™ support. 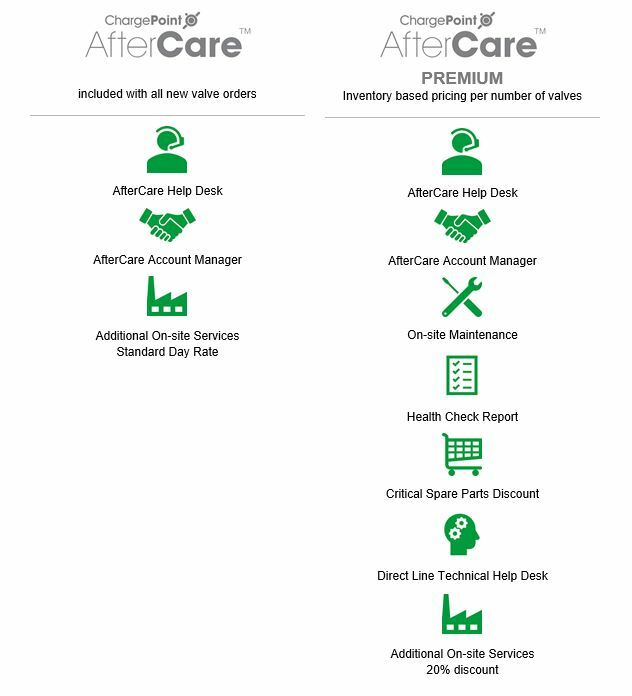 What's included with an AfterCare™ Maintenance Package?